Super Moringa is a raw superfood packed with nutrients. This isn't some processed, green, slimming powder. This vegetable powder is a powerhouse that is high in protein, amino acids, 27 vitamins & 46 antioxidants (and yes, it is caffeine free!). There is nothing like it in the plant kingdom. Known as the Miracle Tree in many African cultures, its leaves can improve your skin, get rid of tiredness, boost your immune system, reduce inflammation, provide mental clarity and balance out your sugar levels. It does all of this and more. You will never come across a plant so tenacious, resilient, versatile, generous and flat-out eccentric. Our Super Moringa is ethically sourced. We are working with our local farmers to ensure the highest grade of Moringa is sourced especially for you in its purest and greenest form! Inspired by our Mother’s love for naturals we decided to set up our own start-up: zaamroot. We are Africans of Indian origin. Our mother raised us on natural and organic products - where both beauty and health were concerned. Our family has been using Super Moringa for generations. Our leaves are grown in Zambia where we grew up and a place we call home. 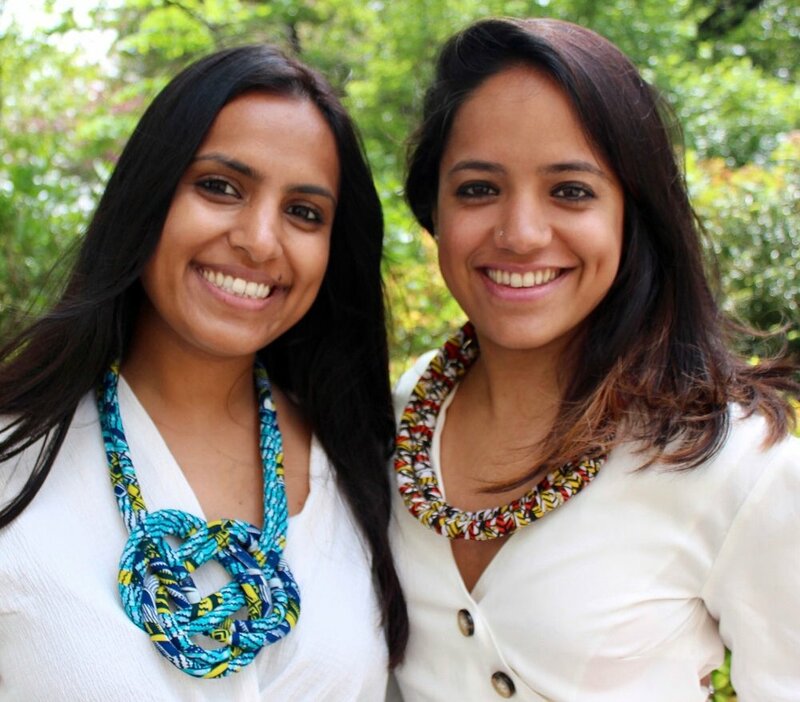 Shivani is working directly with the source and farmers in Zambia where she is based, whilst Krishma is in New York getting the Super Moringa word out! We ship our Super Moringa packets nationwide! Our eco-friendly, afro-styled packaging keeps our Moringa in tact when it makes its leafy way to you. We want to infuse your life with culture, passion and energy. Zaamroot’s Super Moringa is more than just a super food. It’s about building a sustainable future that inspires people to believe in their passions, live a healthy lifestyle that is real and collaborate ethically on a global scale. After all, this is in our roots. We can do bulk orders. Don’t be shy, email us. You will find us popping-up at various spots. Our usual stomping grounds are at New York’s boutique fitness studios, trendy cafes and wholesome markets.